Copycat companies are spread across all industries. Companies invest their time, resources, and assets in developing new models of their products, and when another company copies the model and sells it for a fraction of the price, things tend to go bad. The latest big “copycat” case that got people talking is Jaguar vs Jiangling Motor Corporation. The court in Beijing ruled in favor of Jaguar Land Rover. This is a major development because this type of ruling is the first one of its kind in the car manufacturing industry. Finally some good news for JRL in this region of the world – we all remember how bad things were for JRL after they faced the infamous quality control problem in China. The dispute was bound to happen once the Jiangling Motor Corporation announced their new Landwind X7 SUV vehicle. It was obvious from the start that Landwind was a copy of the Range Rover Evoque. To win this legal battle, the legal team of Jaguar Land Rover decided to base their case on the distinctive characteristics found in both cars, but also with the hard proof that these design features were developed by Jaguar’s designers and implemented long before the Landwind had seen the light of day. The car shape. The Jaguar Land Rover Evoque model has a very unique and recognizable shape. 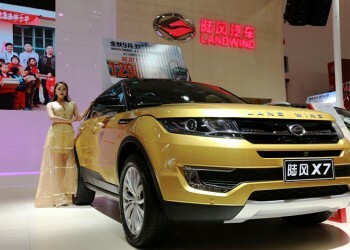 The moment the Chinese company presented their Landwind model, it was obvious that it resembled the JLR’s Evoque. But this was not the end of it. Roof and windows. Landwind had also another interesting feature that was found only on Evoque so far. The roof and windows were designed so that they narrow down from the front to back. The roofline follows the windows creating a unique Evoque design signature. This was also identified as one of the main design features in the Chinese Landwind. Tail lights. Tail lights found on Evoque are very unique and they can’t be seen on any car model out there. At least not until the Landwind got showcased. Chinese copycat model had the almost identical tail lights, which raised another red flag that the entire vehicle was a copycat. Side paneling. 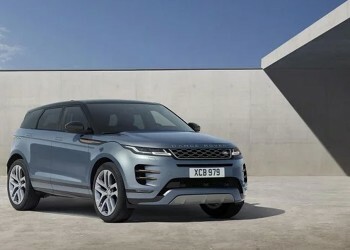 If you take a look at the JLR’s Evoque, you can clearly see that there are subtle lines on its side paneling. These lines give the vehicle a bit of character and enhance its overall looks. The Chinese copycat has them featured on the side paneling as well. This was the final proof that Landwind was indeed a copycat of the Evoque. This is not the first time a Chinese car manufacturer got sued for purloining designs of foreign car companies. In the past decade, we could see all the great names in the car industry taking Chinese car manufacturing companies to court. This includes Fiat, Toyota, BMW, GM, and Mercedes as well. All the western automakers continuously faced hard times with Chinese brands copycatting their car designs. Unfortunately, these companies had no luck in the court of law, not winning a single case. The outcome of this particular case is very significant, as it sends a clear message to all car manufacturers, including the Chinese ones, that this kind of trend will no longer be tolerated. Since the case was handled by the court in Beijing, this should also be seen as an official message of the Chinese government. The only case in the past that was ruled in favor of a foreign company was the famous Neoplan 2006. This famous German coach-maker sued the Zonda Industrial Group for copying the Neoplan Starliner. Zonda had to stop producing and selling the A9 bus. On top of that, Zonda was compelled to pay 20 million yuan compensation to the German coach-maker. From this moment on, China will take copying claims with more interest and more seriously. Copycat vehicles not only damage brands but the consumers as well. This ruling is a sign that China will continue working towards upholding customers’ rights and protecting them. One way to do this is to protect brands as well as their innovations and designs. Some argue that the Chinese leaders did this on purpose. Letting a foreign company win in such a high-profile case puts China in favor and brings more international support and investments. This raises an important question though. JRL didn’t have a clear path in China from the start. In fact, this company already tried to patent the shape of the Evoque model in China in 2016, after patenting it in Europe. This is when the company hit a wall and Chinese institutions canceled the patent process after the court ruled it void. It appears that you can’t patent a car shape in China after you’ve first patented it outside of China. This is when Landwind got launched and JLR had no option but to sue Jiangling. It was very hard to assess how many models of Landwind got sold, as Jiangling doesn't track sales by car models. According to industry professionals, Jiangling sold 80,000 cars in 2016, and the majority of these cars were Landwind. It looks the same as Evoque, but the price is a deal breaker for JRL. Wile the Landwind costs 17,100 euros in China, Evoque is priced at 50,000 euros. No wonder the sales of Evoque dramatically dropped in China after the Landwind appeared on the market. In fact, Jaguar’s sales dropped down by 60 percent and Land Rover sales dropped down by 61 percent when compared to the figures from the previous year. Domestic automakers have always been in favor of Chinese courts. This precedent is very important, as it will discourage domestic companies from continuing with their copycat practices, and ensure foreign companies that their rights are protected. Meanwhile, JLR announced that the new Range Rover Evoque is going to be available for purchase in China in April.